(N.) An addiction to the sun. Always needing it's rays. Needing summer all year round. With a name like Summer, there's no question I LOVE the sun. Given my endless amount of hours in the sun, I've curated a pretty bomb beach bag I wanted to share with you! I have all my products stashed in my mesh bag and anytime I'm headed on a trip in the sun or just to the pool, its the FIRST thing I grab! 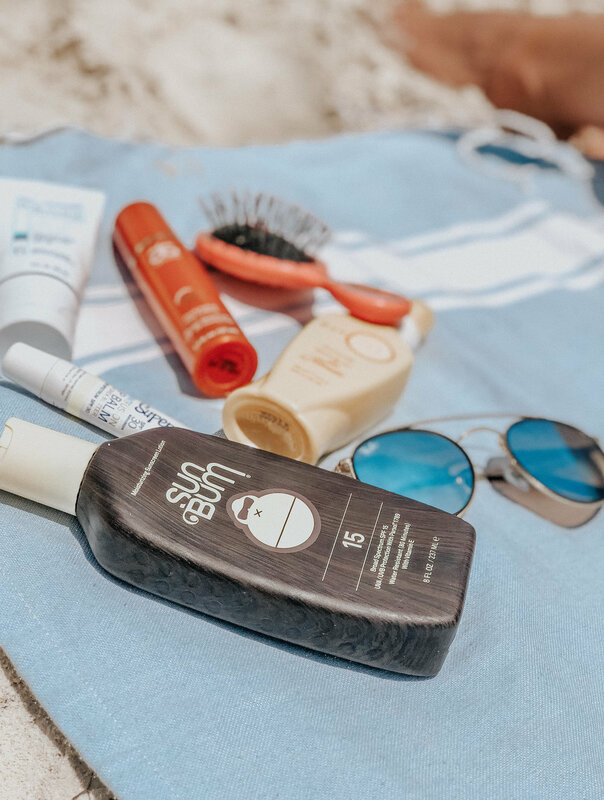 Sun Bum sunscreen - Smells SO good and offers really good protection even though it feels light. Arbonne Restorative Day Cream - I am OBSESSED with this. It's basically a facial moisture but has 20 SPF in it- I apply it almost every morning because you are exposed to sun even in your car. My Obagi sunscreen is available only through physicians, medical spas, and other skin care professionals.